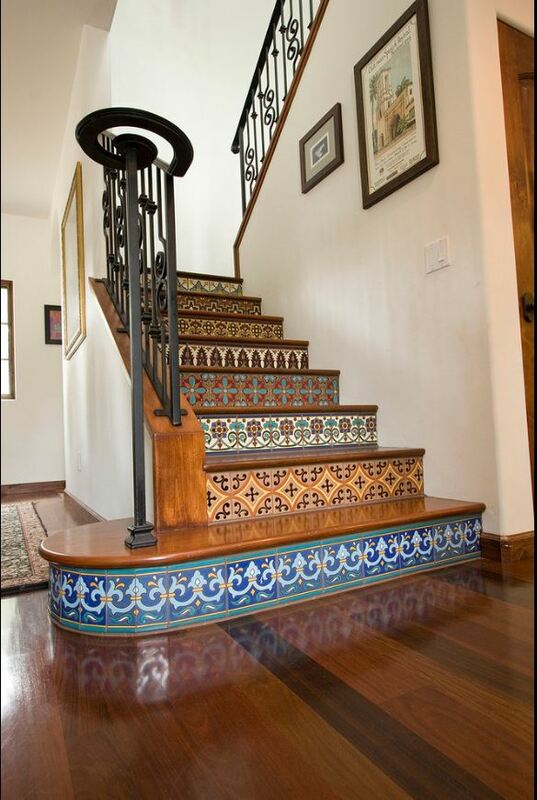 Ceramic and Talavera Mexican Tile work well in the kitchen for two reasons: They’re easy to clean and last for years. But kitchen tile also has its drawbacks. The tiles are easy to clean but the grout can darken and look dirty over time. That a tile floor or backsplash lasts for years is a testament to durability, but if you discover, after installation, you don’t like the tile or it limits your redecorating options, you may regret your choice. But removing tile is difficult and costly, so you may just have to live with it. Before making your choices, then, consider the following tips. They may prevent you making a decision you’ll regret. Ceramic and porcelain tiles are more commonly used in kitchens than travertine or natural stone tiles. Ceramic tiles are made from clay forms and have a kind of photograph sealed onto the surface. Porcelain tiles are made from a porcelain material and so maintain the same color throughout. If a ceramic tile chips, you will see the clay base. If porcelain chips, the same color and pattern shows. Porcelain is a little more expensive than ceramic, but not by much. The choice, then, usually comes down to color and pattern, rather than actual material. Color and pattern are the most important factor for tile because you do not want to have to tear it out after installation because you want to change your kitchen colors. Choose a neutral, versatile color and pattern so you can change your decorating scheme without worrying about matching the flooring and backsplash. Your basic color categories are white, brown and gray. Choose creamy white if you tend toward cottage, country or contemporary styles. Choose pure whites if like Scandinavian or modern styles. Beige tones work well with eclectic or traditional styles. If you prefer farmhouse or ethnic styles, choose darker hues in the brown family. Gray tiles work well with modern styles and with certain Mediterranean styles such as Moroccan. Size is the next consideration. It’s a common misconception that small tiles need to be used for small kitchens. Larger tiles such as 16×16 and 18×18 inch provide balance in a space with large fixtures. The appliances in your kitchen dominate the space with their scale, and you have an expanse of cabinetry and countertop. Using small tiles throws off the balance; the result is big things sitting on little things. The more common tile size is 12×12, and this size works well in most kitchen settings. But remember to keep your backsplash proportionate to your floor tile size. For a 12×12 tile size on the floor, you can use the small 1×1 or 2×2 tiles on your backsplash. You can even go up to 8×4 tiles. If you opt for larger tiles on your floor, and want small tiles on your backsplash, choose a bold pattern for the backsplash. This will keep it from “getting lost”.